When I lived in Atlanta, I attended a once monthly event called Scott Antique Market numerous times and never left it empty handed. 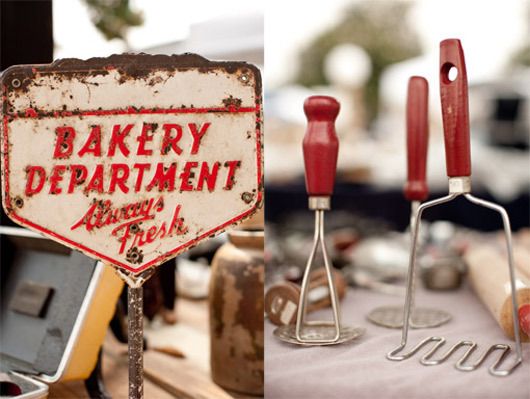 With over 3000 vendors selling vintage and antiques over a 4 day period, it truly is a must for anyone visiting the South. Held at the Atlanta Expo, it is both indoor (air conditioning!) and outdoor with a shuttle to take you from one side to the other. It does cost $5 to get in but that includes parking. There are lots of food vendors as well, so you really can make it an all day outing. So, I am excited to announce that next week, for the first time I will be making my Scott debut! I'll be bringing the best of my Fresh Pie Shop, including everything pictured below, plus some amazing finds I've saved just for this event. I have some amazing Mid Century lamps, glass and unique furniture pieces, vintage cameras, pottery, linens, art work and much more! We will be inside in the North Building, isle B6 and not far from those yummy donuts pictured above! It starts Thursday the 12th, we will arrive around 4am (!) to set up and the doors open to the public at 10:30. They stay open till 6, Friday and Saturday hours are 9-6, Sunday 10-4. Please stop by and say hi! I'm always up for a good haggle and plan to price my items to sell! Since landing in the South I have been able to get back in the hunt. 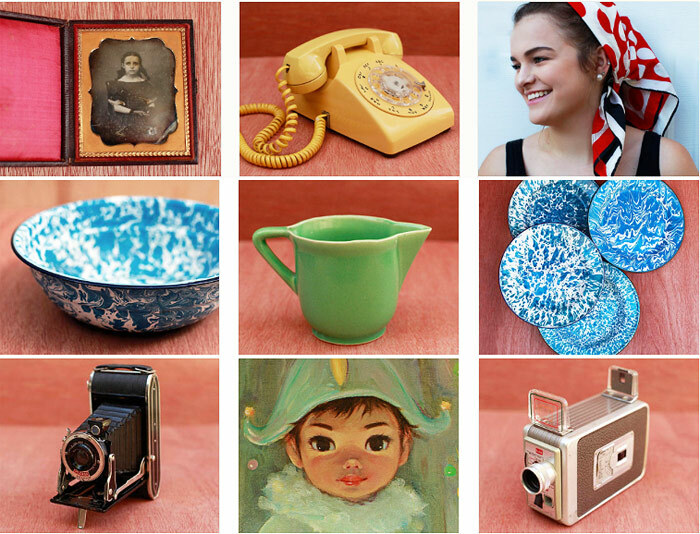 Hitting Estate Sales, two country fairs, Antique shops and even a hoarders home! I am picky about what I pick and have found some great items now available in my Etsy Shop. For "Cyber Monday" I created a 10% off promo code good through December 7th on anything in my shop including sale items, apply HOLIDAYPIE at check out. I will be adding more items as I find them so please keep checking back. It's happening! Sept 9th & 10th, I will be putting my life up for sale. As mentioned a few weeks ago, I am moving back to the East coast at the end of September. I made the decision that I wanted to lighten my load as much as possible and have already sold a lot of my major furniture pieces. Still there is so much left, literally 30 years of my personal collections. So a full on Estate Sale seemed the best option. You can find the official listing here and I will be adding more photos and info as I prep. My longtime favorite photo app is Hipstamatic which is continually adding new films and lenses which act as filters. Using the Salvador lens, which has a double exposure effect, made this cloud filled sky above, even more epic. I loved the result with this simple portrait taken with the same lens and an extra grainy film called "US1776 Monochrome". You can combine any lens with any film and if later you don't like your choice, you can redo it using the editing tool built into the app. You can also edit photos taken with a regular camera, as I did here. There is a little trick to doing this with the Hipstamatic app. I will upload an image to dropbox from my computer. I also have dropbox on my phone and can then download that photo to my camera roll. However the Hipstamatic app will not see the file for some reason till I open in another app that does, like Color Story and save it from there. Once I can open it in the Hipstamatic app I can then experiment with different films and lenses, you can also adjust the intensity and add or remove frames. 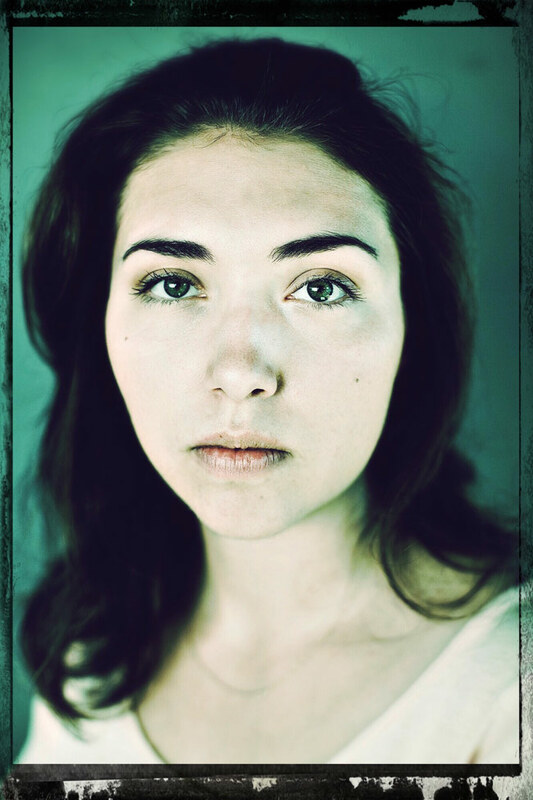 This simply lit portrait becomes more interesting with the edition of the Americana lens and Cano Cafenol film, dialed back about 30%. For more inspiration follow these Hipsta communities on Instagram; @hipstaconnect and @hipstadreamers and of course @hipstamtic. Want to give something truly unique? Then go with original art or vintage finds via Etsy. I have updated my own Etsy Shop with some special items including this 11x14 archival fiber print from a favorite shoot I did with Patrick Swayze. It is signed and stamped on the back, only 2 available. More of my own work is available here and a collection of amazing vintage and antique photographs, cabinet cards and tintypes here. These are a few of my favorite "new" things, many from my own wish list and most qualify for Amazon Prime's Free 2 day shipping! If you don't have Amazon Prime you can do a free trial by clicking here. If you're a student you get 50% off the regular prime rate and a 6 month free trial, check out Student Prime here. Starting with the top row: a stylish leather Orla Kiely Jeanie Bag and this Orla pen set makes a great stocking stuffer. The Leica Sofort is a new instant Polaroid style camera with an extra groovy design. It comes in three fun colors and can use the Fuji Instax film. It is a bit hard to find, on back order with most online retailers so getting it by Christmas may be difficult. I did see Amazon will have the Leica film available by the 18th. So they just may have some cameras available again then too. Just keep checking! Middle: I'm quite smitten with Smeg's electric tea kettle which is available in a many glorious colors. While old school style Agendas are making a comeback and this one by Rifle paper is pretty keen. I love love this Sylvia Hood inspired needlepoint Owl Pillow by Trina Turk and how kawaii is this cat patterned Orla backpack. Bottom: Sticking with our feline theme, two types of purrfect cat eye glasses, readers and sunglasses both by Kate Spade. Another camera I'm lusting for, this compact Pentax-Q-S1, the size of a point & shoot but with the function of an SLR with the ability to change lenses and it comes in pink! Finally, hit the road with this great little vintage style bike by Raleigh, one of the few I found for under $300!